Harvested by hand, the grapes are collected in baskets before being taken to the winery. The grapes are crushed and fermented in stainless steel tanks with 10-15 days maceration. The wine is then aged in oak barrels for a minimum of 24 months prior to bottling. Located among the Langhe hills, the Barolo zone is a collection of different mesoclimate, soil types, altitudes and positions that can have a pronounced effect on the development of the Nebbiolo grape and the resulting Barolo wine. Within the Barolo zone there are two major soil types separated by the Alba-Barolo road. Within the communes of Serralunga d'Alba and Monforte d'Alba is a compact, sandstone based soil dating from the Helvetian epoch. 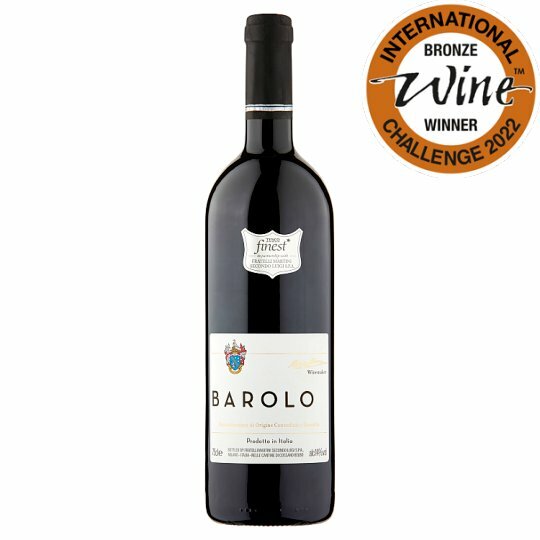 Barolo wines are made from the Nebbiolo grape grown in and around the village of the same name in Piedmont, Northern Italy. The zone of production extends into the communes of Barolo. Only vineyards planted in primarily calcareous clay soils in the hills with suitable slopes and orientations are considered suitable for Barolo production. Store in a cool dark place, in horizontal position. Best enjoyed within one year of purchase, once opened consume within 3 days.